I am so excited to kick off our 15 from 2015 series by introducing you to the incredible Katie Guisinger of RunningOurLives! 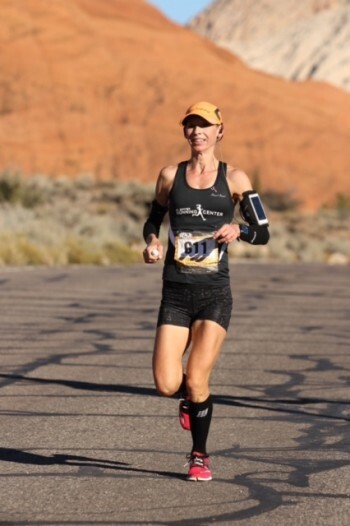 Katie, is a wife, mother, and teacher living in St. George, Utah. 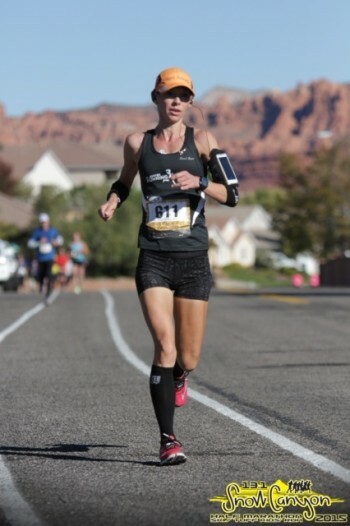 She runs for the St. George Running Center and has a crazy fast marathon PR of 3:02:02 (hey girl heey!). 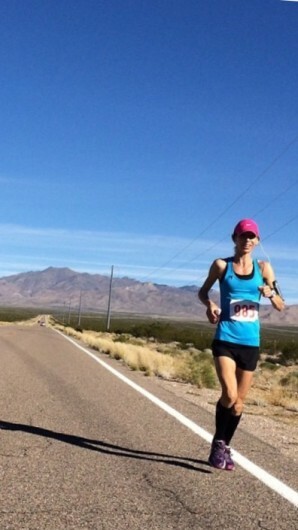 She’s chasing that dream of a sub 3 marathon, and if I were a betting woman, I’d put my money on her! 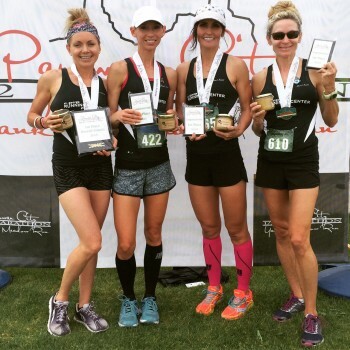 She claims that “peanut butter and running are the glue that holds [her] busy life together,” and she is just as fun and inspiring as can be. I hope you enjoy reading her post as much as I did! I meet people all the time who say, “I want to be a runner, but it’s so hard!” I totally get it, starting back into running can be challeneging. Maybe you and running used to be pretty serious, maybe you had a little fling a few years ago, maybe you broke up after a bad race. 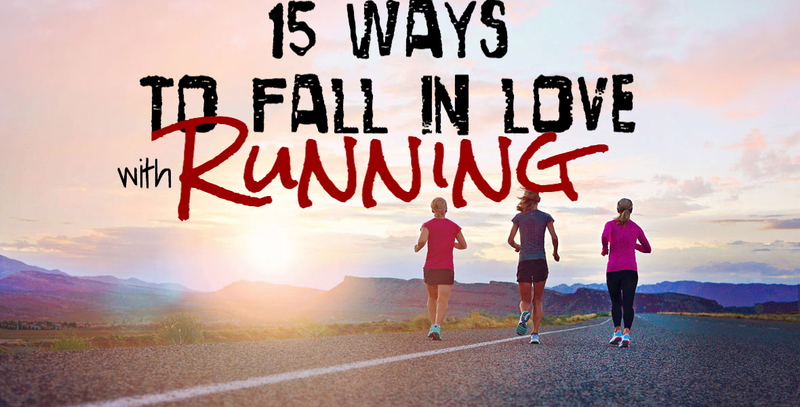 Relationships can be complicated, but if you’re ready to have running be a part of your life, here are 15 ways to fall in love with it all over again. 1. Get new shoes– There is magic in new running shoes especially shoes that have been properly fitted to you. With so many great options, it’s just about taking the time and trying on a lot of different pairs to find the right fit. Don’t waste your time at a large chain store, instead find a local running store with an experienced staff. If you’re going to love running you need happy feet. 2. Find a running friend-There is no better way to get committed than to have an accountability partner. I am so grateful for running friends who motivate me to get outside especially in the early mornings when it’s dark and cold. Knowing that someone else is counting on you helps you resist the urge to push snooze. 3. Get new clothes-If you’re already feeling blah about running, those old sweat pants won’t help. Invest in a great pair of capris or tights for winter running. A fresh new look can inspire you to get out the door. Now is a great time to update your wardrobe by taking advantage of the holiday sales. It’s totally fine to leave a couple of your own presents under the tree, just say they’re from Santa. 4. Register for a race-Having a race deadline helps you stay motivated. There will be many days when the lure of extra sleep under warm covers is so appealing, but knowing I have to train to have a successful race race gets me out of bed. The race itself is the reward for all your hard work. 5. Run somewhere new-Choosing a new place to run is a great way to keep running fresh. During the week I have to stay close to home but I like to reward myself by mixing it up on the weekend. I try to seek out an open road, a state park, or a new trail. Surrounding yourself with the beauty of nature can make a run good for the body, mind, and soul. 6. Listen to music-Music is such a great tool for getting through a run. You can choose songs with a faster BPM that help you pick up the speed or help you feel energized to tackle a run. I love the Pandora App for finding new and energizing music. Dance Cardio Radio, 140 BPM Radio, and Pop and Hip Hop Power Workout are 3 stations that will help keep you moving. 7. Fuel Your Run and Hydrate-When I’m running on empty the first thing I think is did I have enough water today? In addition to getting plenty of water, rehydrating with electrolytes is key for feeling energized on a run. Nuun tablets and SmartWater are great for staying hydrated. Additionally, it’s important to find a fuel that works best for you. Some people are concerned about the additional calories of fuel, but it’s important to remember if you don’t have the energy, chances are you won’t go at all. I use Honeystinger Chews and their energy gels with added green tea caffeine, it’s a great little boost that doesn’t upset my stomach. 8. Don’t pay attention to time-Tell yourself everyday; it doesn’t matter how fast I am going, it just matters that I went. 9. Volunteer or watch a race-Kathrine Switzer said, “If you are losing faith in human nature, go out and watch a marathon.” If you just can’t muster the desire to train, try volunteering or watching a race. The cheering crowd, the inspiring athletes, and the race energy will make running contagious! 10. Expect hard days-Sometimes they come three and five days in a row. Just remind yourself that they don’t last, and the pain is temporary. Soon you’ll have a day where you think that felt pretty good and after that there will be more good days than hard days. 11. Slow down-Remember Shalane wasn’t built in a day. When you’re starting out keep the pace nice and slow. If you have side aches, muscle cramps or are feeling immediately winded, you may be starting out too hard. Give your body time to adjust. It’s okay to be the turtle in the fable of running, sometimes you have to run slow to be able to run long. 12. Run first thing-Run before your brain has time to figure out what you’re doing. We are such busy people cramming family obligations, responsibilties, and careers into a mere 24 hours. Remember that giving yourself a one hour workout is only 4% of your day. Taking that time to invest in your emotional and physical health first thing will help you manage the other 96%. 13. Don’t judge a run on mile one-There are a lot of runs where mile one is a rough, long mile. Expect it and give your body a little time to adjust to running each day. Not all runs are going to feel great, it’s the post run feeling of increased endorphines, the time spent outside in the fresh air and sunshine, and the feeling of accomplishment that will inspire you to get back out there every day. 14. Don’t be intimidated-Runners come in all shapes and sizes. There is no one body type for running. Embrace your body’s ability to do amazing things and don’t ever discount your running ability by incorrectly assuming you must fit into a specific height and weight ratio. If you run, you are a runner. 15. Surround yourself with other runners-People are social beings who are often influenced by our peers. The more time with you spend with runners the more excited about it you’ll become. Following Instagram accounts and reading running blogs are a great way to feel connected to the running community. Like all good relationships, when you give running a little attention and some patience, it will love you back. Before you know it running will become a need, a necessary part of your day to help you feel more like, YOU. Focus on a few of these suggestions each week to help you overcome the hurdle of starting, and you’ll be surprised at how quickly you fall back in love with running and find yourself becoming a runner more and more every day.